You are investing your money and time in every individual that views your site. About 98 percent of the average viewers that looked through your website will leave without making anything – even as simple as signing up or entering an their email address or as difficult as deciding to buy a luxurious car. So, don’t let go those prospects and lose what you have invested. They can be your greatest possible customers since by visiting your site they are already interested about what you can provide to them. So, how will you make your prospects not to forget about you? First. There will be a code that will be added into the page(s) of your website. Your client will be receiving a cookie that is not invasive and doesn’t contain any information that is exclusive or private, an adware or spyware. However, there will be a customized sign which is a retargeting ad that is specifically made for the campaign which waits for your approval. Since these are customized surely it will promote your brand and at the same time invites more guest to your website. Second. Whenever there will be a guest who visits your website via paid or normal search, tv ad, traffic directed or printed, they may convert a transaction or not. Each guest is exceptionally being recognized. This will allow us to give our pieces of online advertising to our possible customers who cannot yet decide even if they had viewed alot of websites althroughout the internet. Third. 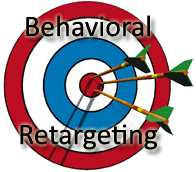 All of the retargeting ads will be given to all the possible customers through the Internet’s biggest retargeting advertising network. In addition to, you can also limit your search retargeting placement into the exact kind of branded content website that you like. Once they have visited your site and as they will be continuously browsing they can see your ad signs everywhere! Fourth. After seeing and reading your ad signs containing the services that you cater from different websites, your possible customer will return to your site again and probably lead into sale. Fifth. Because of ad signage or banner advertising, targeted online marketing and behavioral targeting you can continuously spread product knowledge and add up the rate of converting twenty-four seven.